Next: Baileys Espresso Cheesecake Bars with Oreo Crust! Previous: Bacon, Bourbon, & a (mechanical) Bull! Looking for a tasty, unique treat? Try these out! Chocolate? Check. Mocha? Check. Booze? Check! 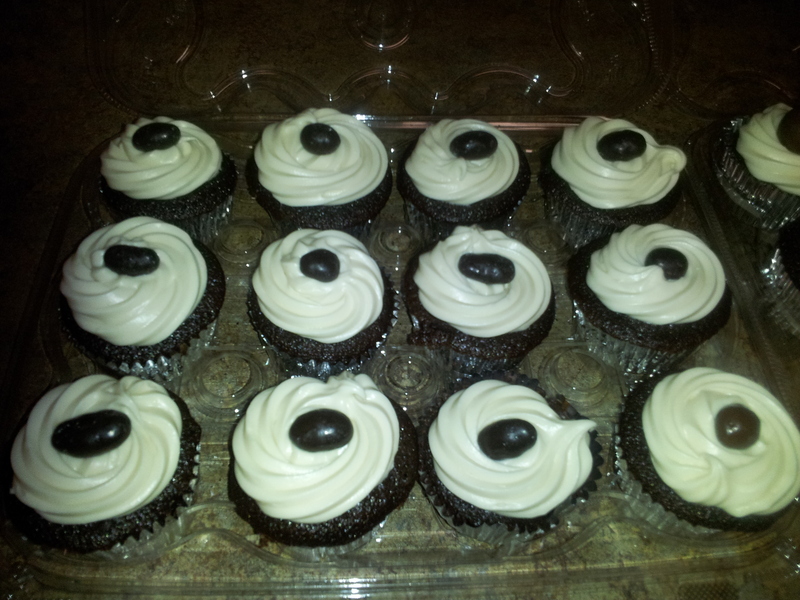 Chocolate espresso cupcakes with homemade Irish cream frosting, topped with a chocolate covered espresso bean!! I made these for my friend’s birthday. They were definitely a celebratory hit! 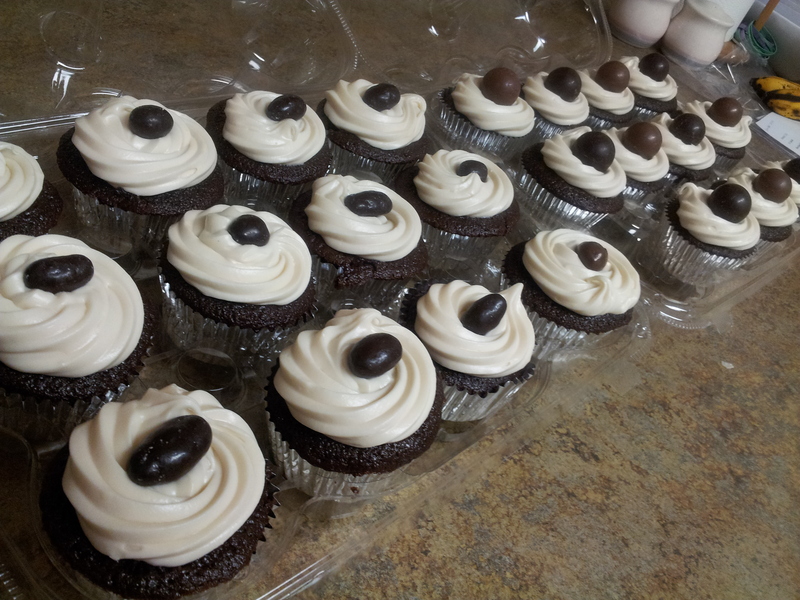 I made the Irish cream for the frosting, which is a cheap and even more delicious way to enjoy the popular liquor Baileys.  You can find that recipe is here. This recipe calls for cake flour. Typically, I would just use all-purpose flour because I don’t like having to buy that many different types of flour. BUT, I figured, what the hell. Might as well try it. The result? Honestly? I really don’t notice a difference between the texture of these cupcakes and all the cupcakes I’ve made in the past with all-purpose flour. That said, they’re delicious, so certainly didn’t hurt!! I use instant espresso power for the coffee part. I bought it for a recipe awhile ago, and I’ve actually found that there are quite a few recipes to use it in! (Coming up next: espresso baileys cheesecake bars with oreo crust). 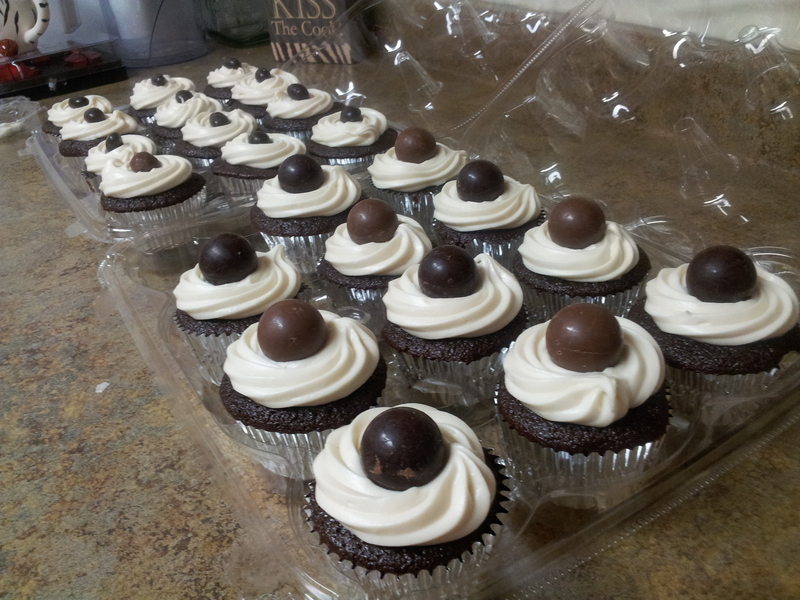 The recipe makes 2 dozen regular-sized cupcakes + about a dozen minis. I like having the minis around for whenever you want just a small sweet sugar fix. 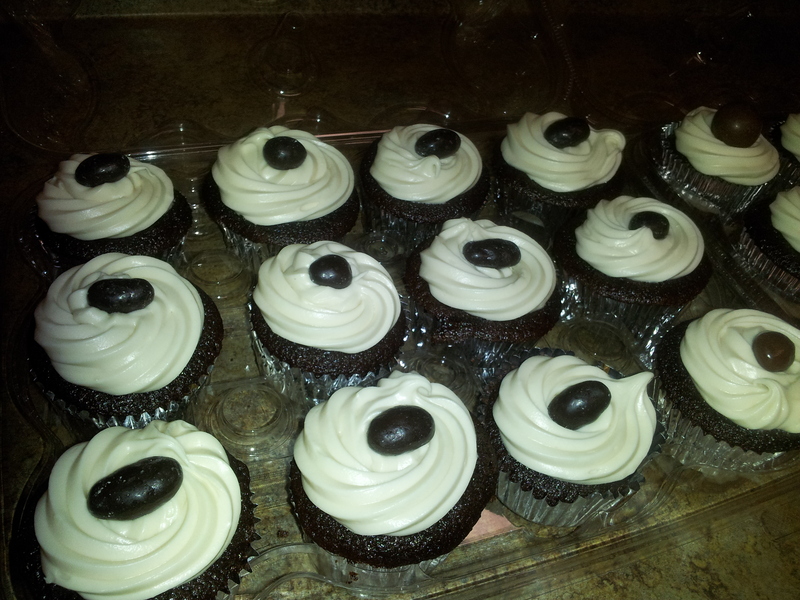 As a garnish, half of these have dark chocolate covered espresso beans on top. I didn’t have enough of those left, so the others have big truffles on top. Kind of a large garnish, but really tasty! 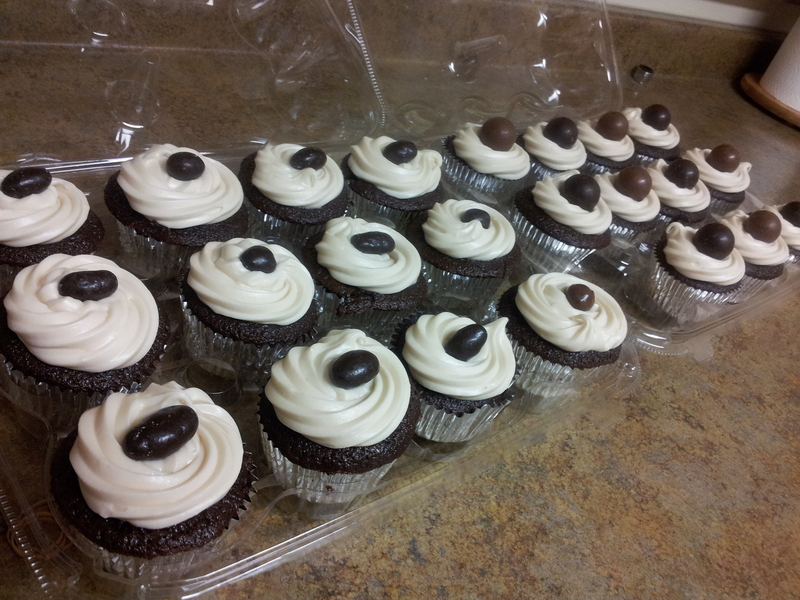 2 dozen regular-sized cupcakes + 1 dozen mini cupcakes. 1) Preheat oven to 350 degrees F. Line muffin pans with foil cupcake liners for 2 dozen cupcakes, + 1 mini dozen cupcake pan. Set aside. 2) In a medium-sized bowl, whisk together the cake flour, cocoa powder, baking soda, and salt. Set aside. 3) In a large bowl with an electric mixer, beat together the butter and brown sugar until light and fluffy. Add in the eggs and the vanilla, mixing until all well blended. 4) Now, switch to a rubber spatula. Fold in the flour mixture and the buttermilk, alternatively adding 1/2 of each at a time. 5) Dissolve the instant espresso powder into the warm water. Add the mixture to the cake batter, folding in until fully incorporated. 6) Using a large cookie scoop (like this one), fill each muffin cup with batter. They should be about 2/3 full. Place both pans into the oven on seperate racks spaced evenly in the oven. 7) Bake for about 25 minutes, or until the spring back lightly when touched. 8) Cool for about 2 minutes in the pan. Then remove each cupcake onto a wire cooling rack. Cool completely. Time to frost!! 9) Frosting: In a large bowl, sift the powdered sugar. Set aside. 10) In a different large bowl using an electric mixer, beat together the cream cheese and the butter. Slowly add in the powdered sugar and the homemade Baileys. 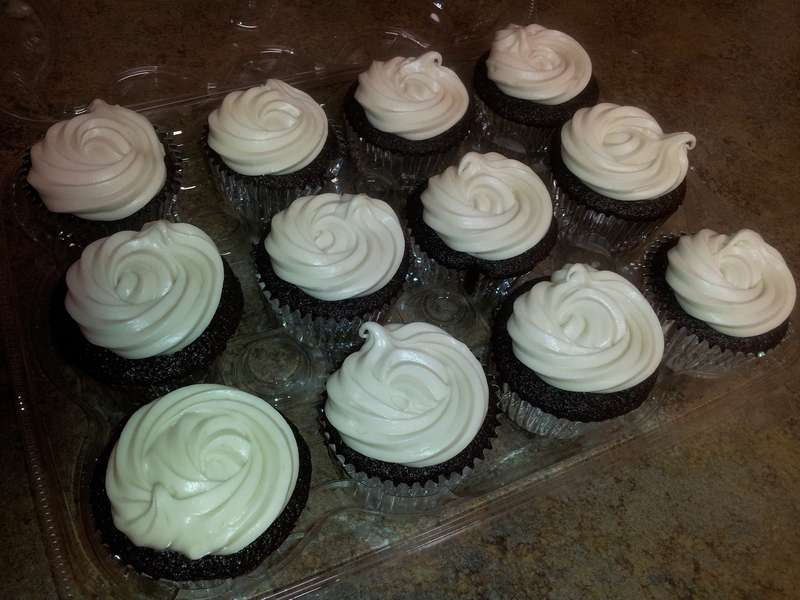 Beat well until you have the desired consistency of frosting that you’d like. 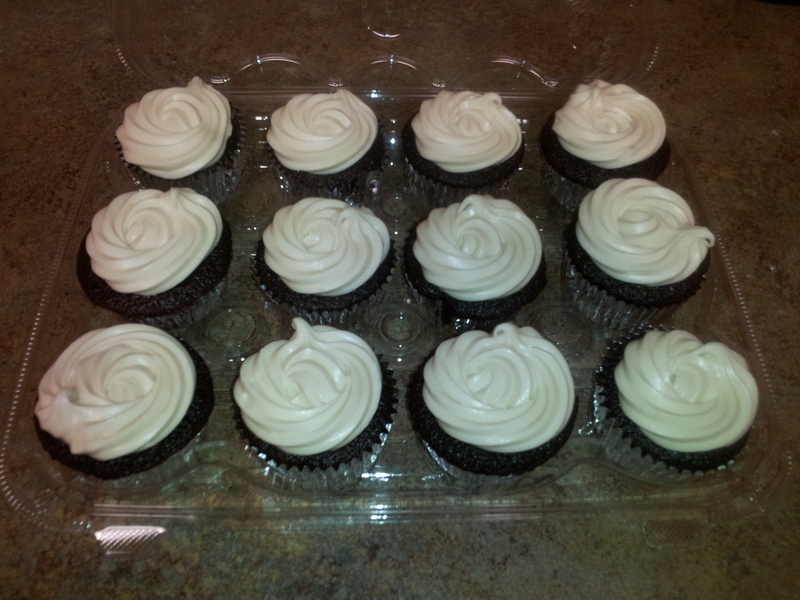 To frost, I used a Wilton pipping tip. 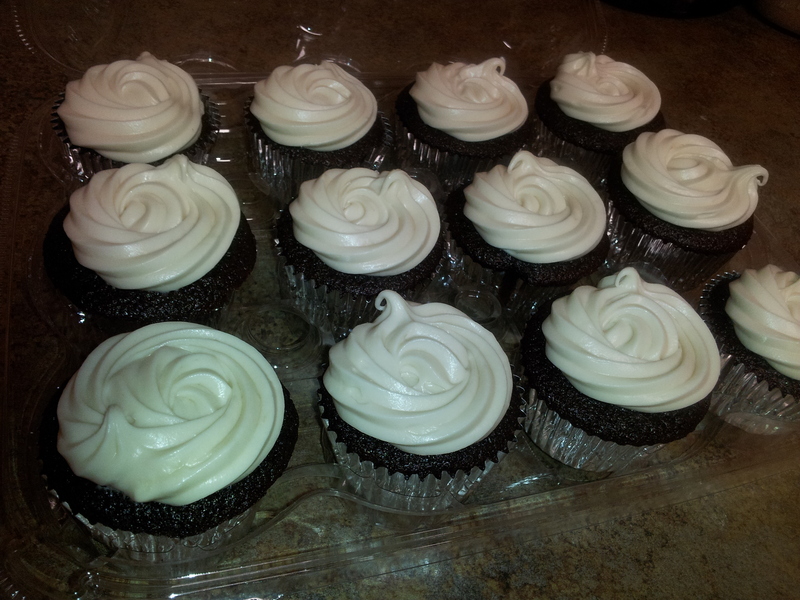 If you’re going to do that too, put the frosting into the piping bag (or plastic bag, which is what I use). And frost away!! You could of course just spread the frosting on with a knife too! 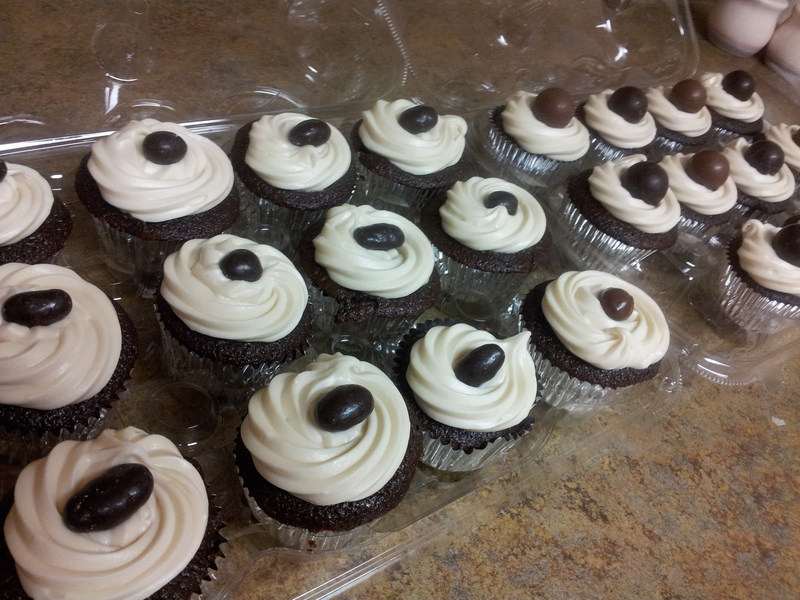 11) Top each with a chocolate covered espresso bean. Voila!! You have deeeeeeelicious, I’d dare even say sophisticated, cupcakes.